Erica Sharpe, born to a Botanist and Zoologist in rural Somerset, has been fascinated by the landscape, heritage and wildlife of the South West all her life. 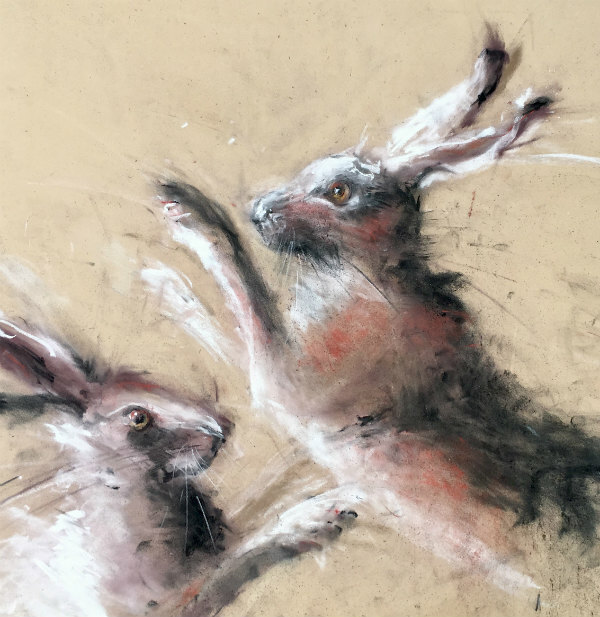 Known foremost as a designer and maker of fine jewellery, Erica's paintings and drawings explore gesture, expanse and movement, standing apart from the intricate technical detail of her jewellery, and capturing dynamic changes in light and movement. Selected as a Finalist in the 2014 David Shepherd Wildlife Artist of the Year, her practice of painting and drawing is intrinsic to her daily life.